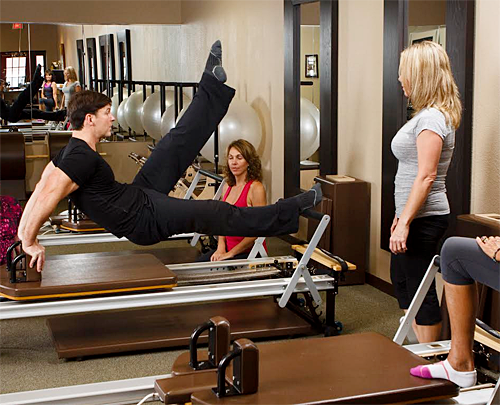 New students are required to begin with either Intensive Mat-Plus or Intensive Reformer and must apply for acceptance into the certification program. Download it by clicking on the orange button to the right. The Instructor Course Objectives sheet will help to answer some of the questions you may have pre-requisites, course objectives and what to expect during and after the courses. She will be happy to discuss your interests in becoming an instructor, and offer advice for the application process and preparing for the courses. Complete the form on the right to send us a message. Click on the button to the right to download a Merrithew Instructor Education Application. The Anatomy Quiz helps us to determine your level of proficiency in anatomy. The results will be discussed with you prior to your enrollment in a course in an effort better guide you on your education path. Click on the button to the right to download the Anatomy Quiz. Once your application has been processed and you have been accepted into the certification program, we will contact you to confirm your course enrollment and process your payment. A deposit of 20% is needed to register for a course. In order to complete enrollment, the balance must be paid four weeks prior to the course start date. Workshops must be paid for in full at time of registration. Practice Fitness will purchase your course materials upon request if the student is registered at least four weeks prior to the course start date. All course materials ordered by Practice Fitness must be paid for at the time of registration for the course. We accept cash, check, Visa, Mastercard, Discover, and American Express.